Dr. Alan P. Roberts’ tenure as President of SUNY Ulster commenced July 27, 2015. Since his arrival to the SUNY Ulster community, his commitment to student success and community partnerships have been paramount, viewing the challenges facing many of today’s institutions of higher education, including SUNY Ulster, as opportunities. Four-year contract settlements and promotions for both the Ulster Community College Faculty Association, Inc. and the Organization of Professional Administrative Personnel; the operationalization of initiatives to support the College’s 2015-2019 Strategic Plan; working with the Ulster Community College Foundation, Inc. to garner additional funding of initiatives; increasing support for capital projects; recognition of faculty and staff; and reviewing policies, procedures and our organization’s structure to streamline processes and to better align College resources are a few of the items President Roberts has focused on in his first year as President. Launching the President’s Challenge Scholarship through the Ulster Community College Foundation, Inc., a scholarship initiative to assist first generation college bound students with overcoming the financial barriers associated with attending college starting in 8th grade, was piloted with the Rondout Valley School District this year and Dr. Roberts plans to establish programs in each of the eight remaining school districts in Ulster County. 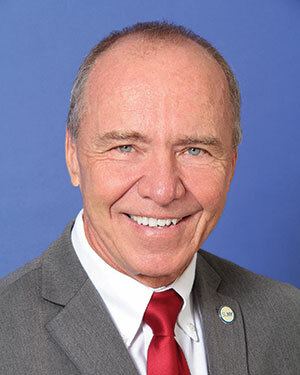 Dr. Roberts previously served as Vice President of Applied Science and Technology at Indian River State College (IRSC) in Fort Pierce, FL from 2004 to 2015. He also served as IRSC’s Dean of Health Sciences (2002-2004) and also as the Dean of Business and Industrial Technology (1998-2002). Before his administrative career, Dr. Roberts served as an adjunct instructor (1988-1991), a full-time professor teaching in the Business and Accounting Department (1991-1998), and a faculty chair. As an administrator, he has developed, nurtured, and sustained positive relations and partnerships with industry, hospitals, health-care agencies, colleges, and k-12 school districts. His breadth of experience has provided him with an in-depth understanding of and appreciation for the exceptional educational opportunities that community colleges offer. A notable collaboration was with Florida Power and Light (FP&L). This partnership established the Power Plant Technology Institute that was recognized by the American Association of Community Colleges (AACC) as one of the Top Five College and Corporate Training Partnerships in the U.S. The award recognizes innovation, collaboration and best practices in higher education that merit replication by other colleges and universities. Dr. Roberts received his Associate’s Degree in Marketing and Retail Management from North Country Community College; his Baccalaureate Degree in Business and Marketing and Master’s Degree in Distributive Education from the University of New York at Albany; and his Doctorate in Community College Curriculum and Instruction from the University of Central Florida.